MSI, world leading gaming brand, is proud to introduce the brand-new product line – case to build a stronger connection among MSI products. This time, MPG GUNGNIR and MAG VAMPIRIC series are ready to shine. The MPG GUNGNIR 100 case is inspired by the sharp look and feel of “Gungnir,” the legendary spear wielded by the Norse god Odin. This advanced case adopts plain industrial design, featuring a 4mm tinted tempered glass panel to showcase its internals, accentuated with an ARGB fan. With a 1 to 8 addressable RGB LED hub, the MPG GUNGNIR 100 offers unlimited customization options and can light up any room with MSI’s Mystic Light APP. Support for 3D-printable parts delivera new level of personalization. Dial in optimum cooling with support for up to 7 system fans. 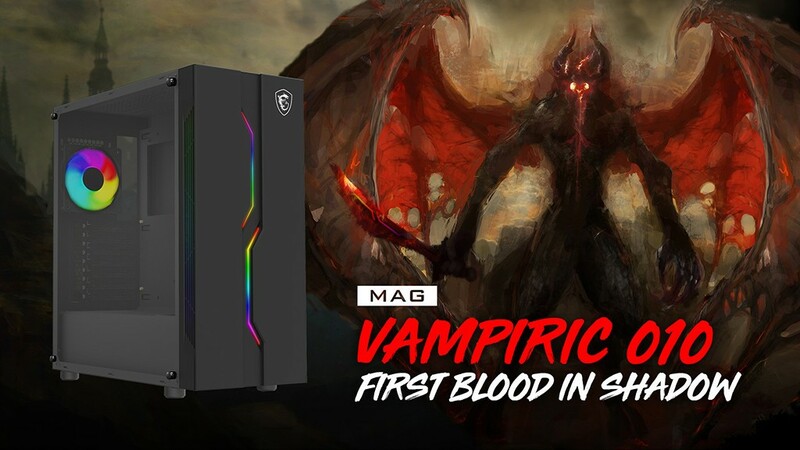 The MAG VAMPIRIC 010 case originates from the concept of the King Vampire – Dracula. With black and grey tones, the appearance invokes the mystique of silent castles. The dual blade shape on the front is the symbolism of coat of arms, combining with Mystic Light SYNC to display RGB lighting effects. 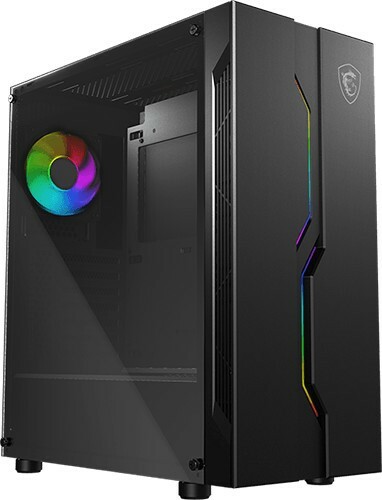 Featuring a light grey 4mm tinted tempered glass panel, an ARGB fan, a magnetic filter on the top, and up to 6 system fans to strictly on ventilation. , the MAG VAMPIRIC 010 showcases the diverse temptation and charm of vampires. 3D-Printing Customization Personalize your own name plates or logos using 3D-printable parts on the top and bottom to show off your own style with RGB effects. Specifically, it is also customizable to use user’s own brand design and reflects it on the ground through RGB light refraction. 1 to 8 ARGB LED HUB Bundled with a 1 to 8 ARGB LED HUB, users can add their own RGB components to have more attractive ways to decorate your gaming rig. 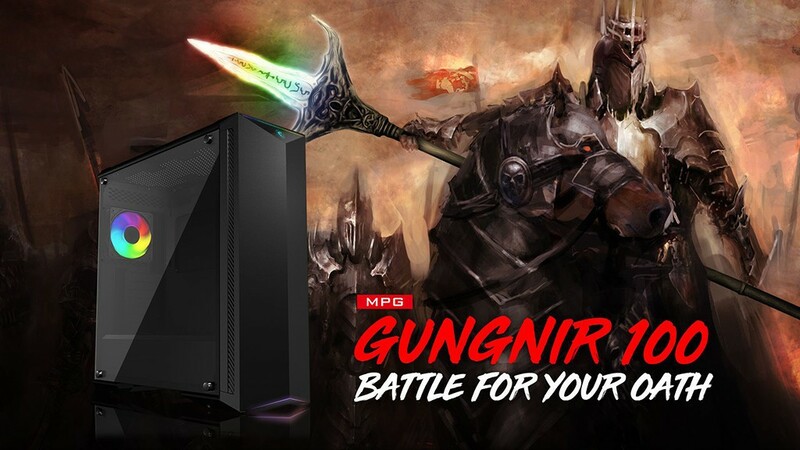 ARGB FAN included & Mystic Light Sync The MPG GUNGNIR 100 and MAG VAMPIRIC 010 are perfectly matched with the motherboard and peripherals that support MSI MYSTIC LIGHT. 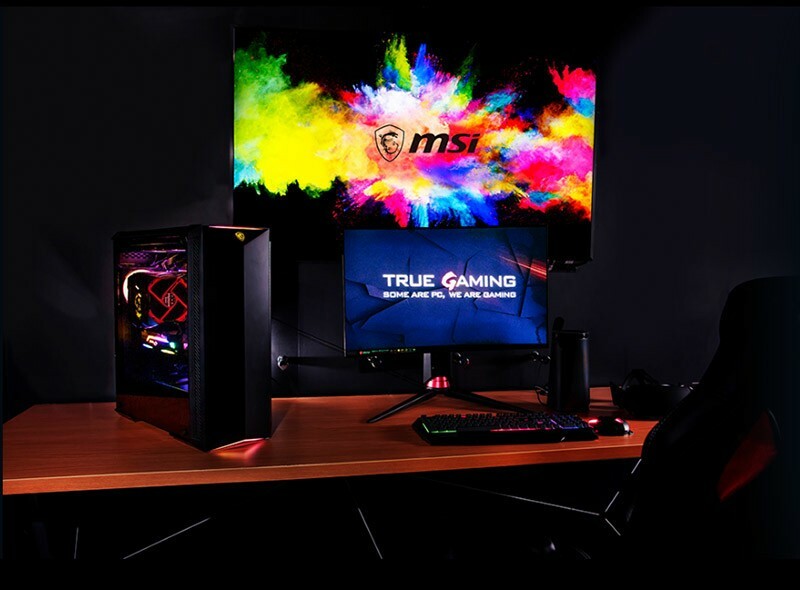 By using the MSI MYSTIC LIGHT APP, the chassis, the motherboard and these peripherals can display consistent lighting effects. Clear interior view The light gray tone of 4mm tempered glass side panel is ideal for displaying RGB lighting effects and provides clear internal component construction. Optimized Air Flow Room for up to seven system cooling fans, or a 360mm radiator in the top, and a 420mm radiator in the front. Provide the whole system with ventilation for better stability. Magnetic Filter The magnetic filter on top side is designed to give users the best experience in uninstalling and cleaning.